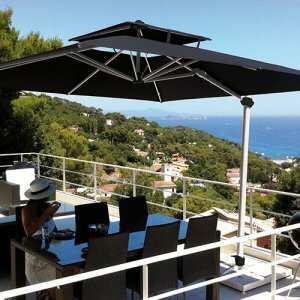 Cantilever parasols are parasols which have a mast on the side of the parasol. In most cases, this is the flat side. 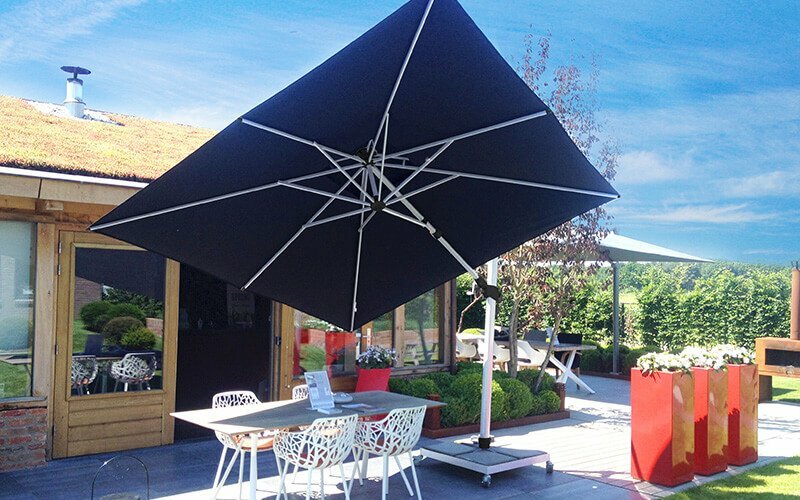 Parasols from the Solero Prostor collection have the mast of the parasol on the corner or at the tip of the cloth. 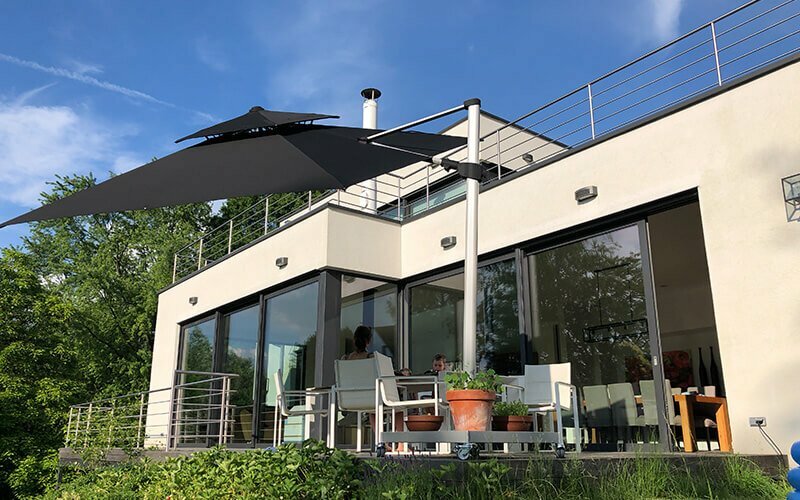 The advantage of buying a cantilever parasol is that the mast is not in the shading area. 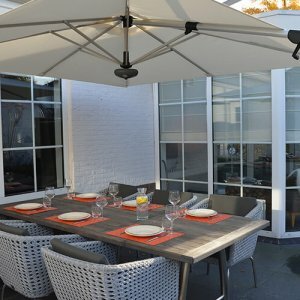 Perfect for above-garden furniture, a dining table or lounger. 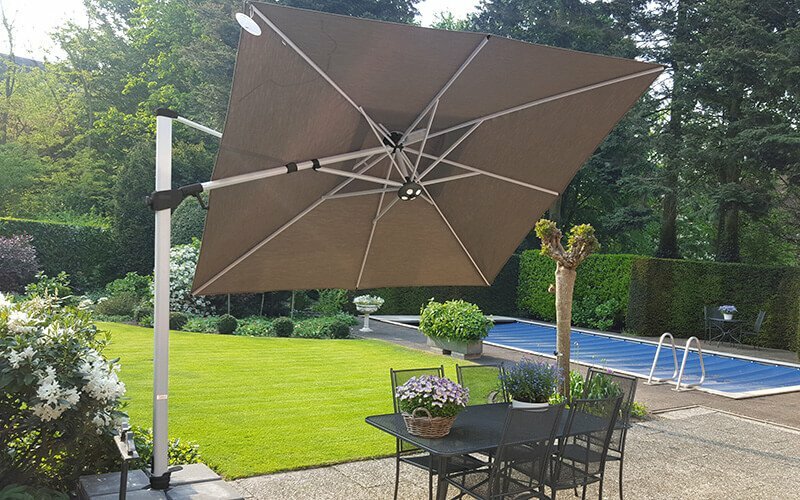 An additional advantage is that a cantilever parasol is rotatable around its own axis. 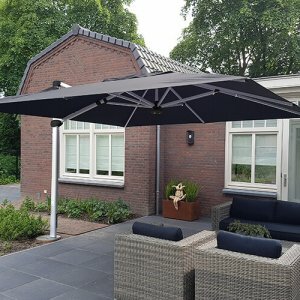 As the sun moves, you can easily turn the parasol so you’re always in the shade. 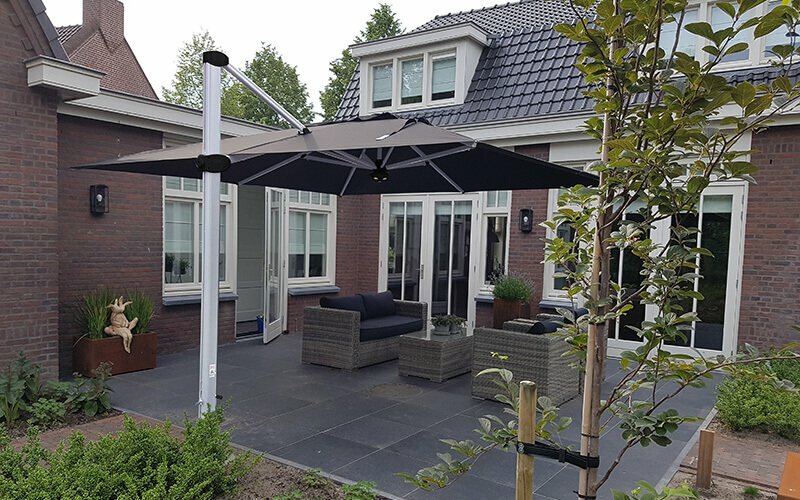 The parasol can also be made mobile – there are double swivel wheels available so you can extend the parasol base to make it mobile. 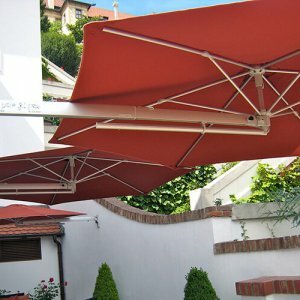 A disadvantage of a cantilever parasol can be inclement weather. 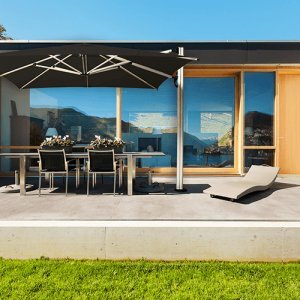 In most gardens you will not encounter any problems, but on a balcony or open plain, it can sometimes be very windy. 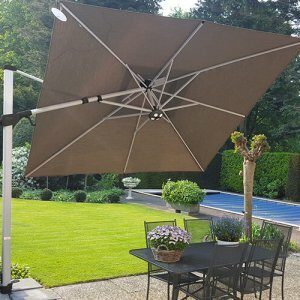 Because the mast is on the side, and the weight of the parasol is located on either side, the parasol is less stable than a centre pole parasol. 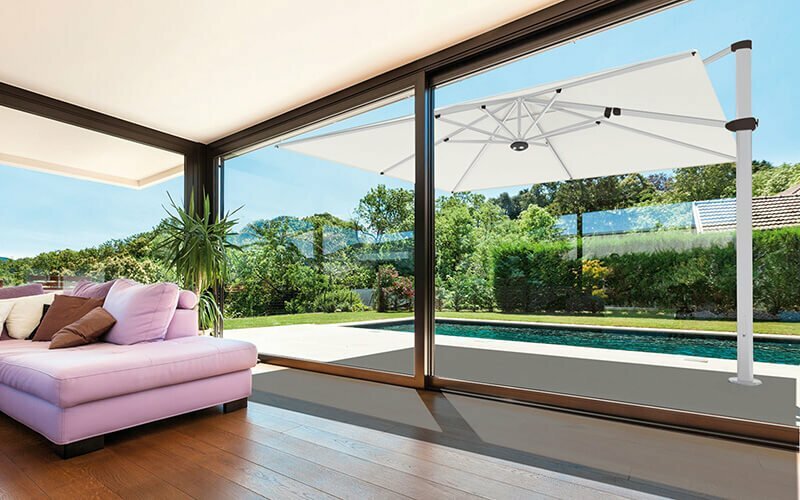 We recommend a Solero frame for a cantilever parasol. 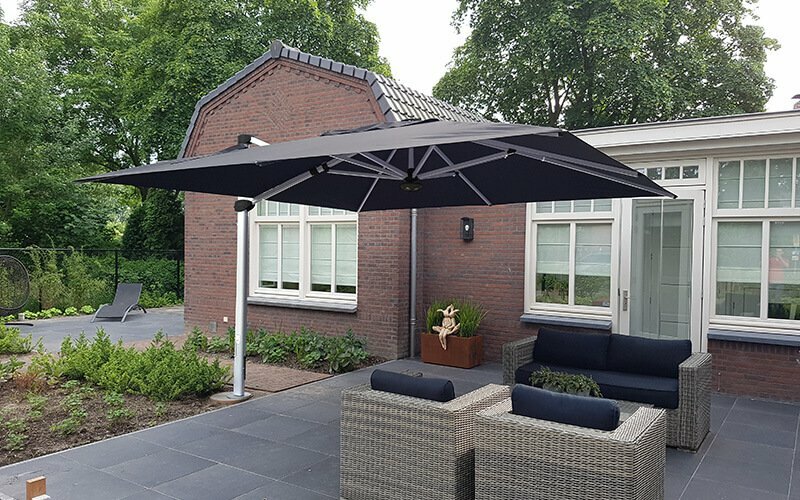 These are firm, and ensure that the parasol will last a long time. 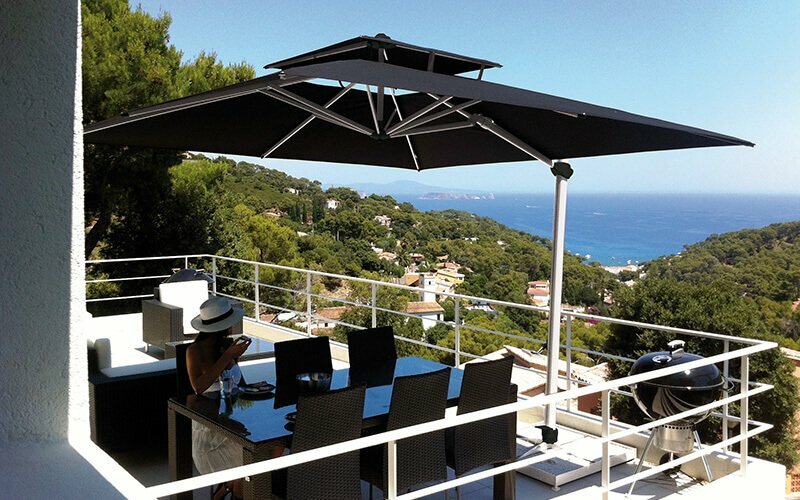 All floating Solero parasols have been extensively tested and manufactured for many years of outdoor use. 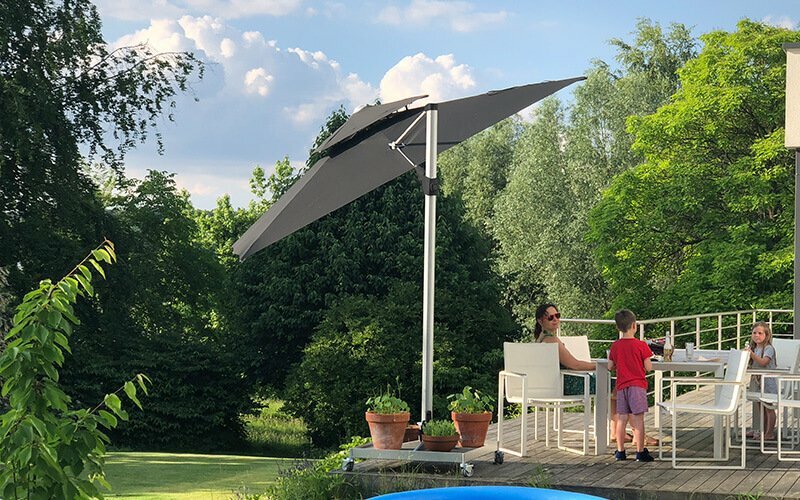 The frames of the floating Solero parasols are made from high quality coated aluminum, making the parasols rustproof and lightweight without losing strength. 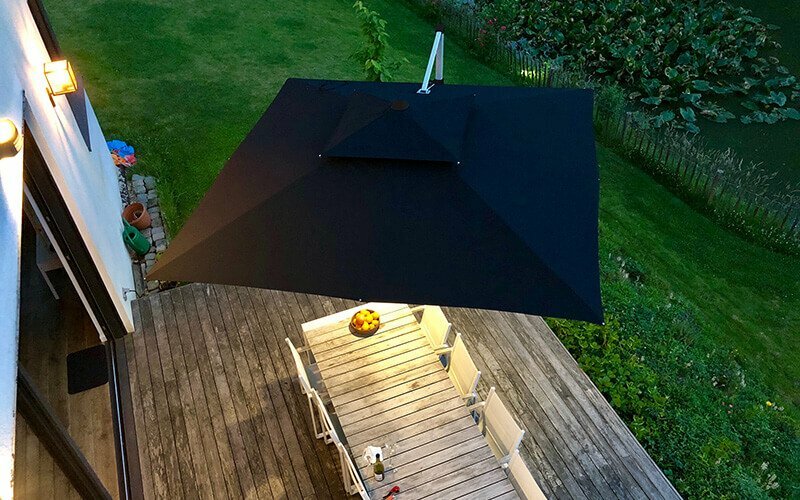 If you are interested in buying a freely suspended parasol, pay careful attention to its solidity. 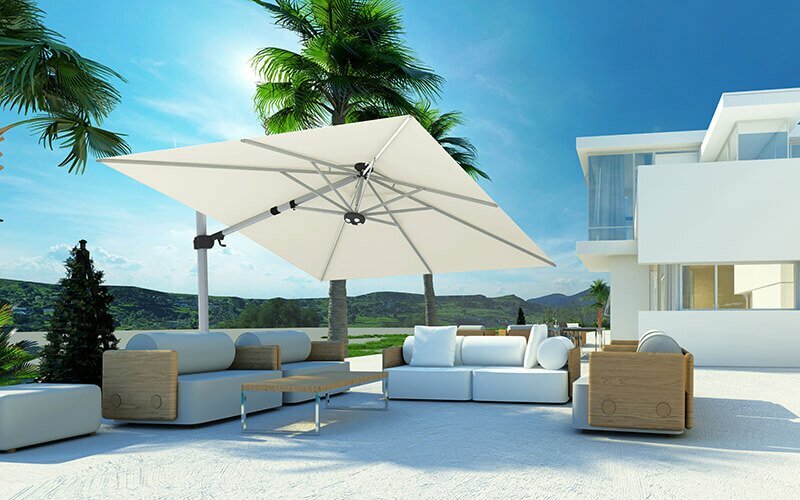 On the right side of this page you will find the complete list of the Solero cantilever parasols in various sizes.